I just posted a new technical article on my Medium Complog discussing data backup for media composers. If you’ve been using a computer for some time, it’s quite likely that you’ve heard over and over again that you should back up your data. But what does that mean exactly for the media creator? As working professionals dealing with huge amounts of data, where that data is backed up and how quickly we can expect to retrieve it can be quite a complex issue and it is essential to plan well. In this article, I describe backup best-practices and go over case studies, based on more than a decade of experience dealing with large set of data. You can read the article here. I hope you find it interesting and I’m looking forward to your comments. I'm very, very proud to have scored Aqsa Altaf’s beautiful, serene, magical short film The Long Farewell, which she shot in Peru under the mentorship of Werner Herzog. It's a really special story of childhood, innocence, and growing up, told in a very unique way. The film is now available on Vimeo, and you can watch it below. To learn about upcoming festival selections, you can check out and follow the film’s facebook page. 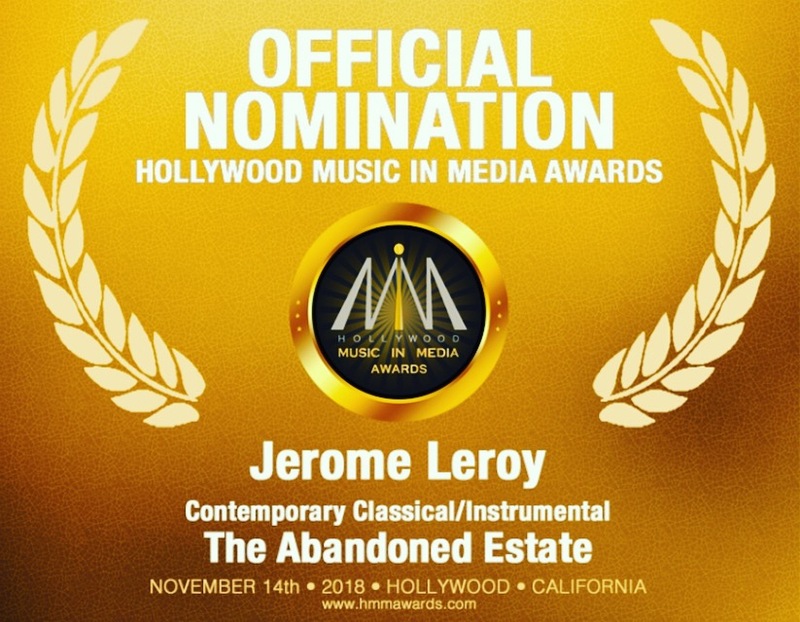 “The Abandoned Estate”, the first track from my album Impressions commissioned by Audio Network, is nominated for a 2018 Hollywood Music in Media Award! This is the second award nomination for the album, which was recently nominated for a Jerry Goldsmith Award. I'm very honored and grateful for the recognition the album has received, and I can’t thank Audio Network enough for their trust and guidance in having me create these pieces of music. The winners will be announced live on November 14th, 2018 at a ceremony in Hollywood, California. I’m very proud to announce that my score to Qi - The Documentary and my album Impressions (commissioned by Audio Network) each received a nomination for the 2018 Jerry Goldsmith Awards. “Impressions” was one of 131 submissions in the “Free Form Creation” category while “Qi” was one of 51 scores to be submitted in the “Best Music for a Documentary” category. The winners will be in announced in early November at a ceremony in Spain.